A Nigerian doctor, Innocent Osazuwa, who is based in Benin, Edo state says persistent bad breath or bad taste in the mouth may be a warning sign of gum disease. Gum disease is caused by the buildup of plaque on teeth. Bacteria cause the formation of toxins to form, which irritate the gums. If gum disease continues untreated, it can damage the gums and jawbone. Osazuwa, a dentist at the Calvary Estate Hospital, made the disclosure in an interview with NAN. 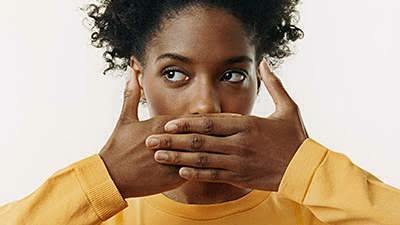 He said that bad breath, also called halitosis, could be embarrassing and in some cases might even cause anxiety. “Bad breath is often caused by a buildup of bacteria in your mouth that causes inflammation and gives off noxious odors. “Cleaning between teeth daily once a day is very important. “Tooth decay-causing bacteria still linger between teeth where toothbrush bristles cannot reach. “This helps remove plaque and food particles from between the teeth and under the gum line too,” he said. He said that brushing of the teeth twice a day with a soft-bristled brush and replacing your toothbrush every three or four months helped to eliminate bad breath. The dentist said the symptoms of bad breath vary, depending on the source or the underlying cause. According to him, some people worry too much about their breath even though they have little or no mouth odor, while others have bad breath and do not know it. He said the causes of bad breath includes food, poor dental hygiene, tobacco products, lack of balanced diet, wrong medications, dry mouth and lack of drinking water. He advised anyone with such problems to see a dentist for treatment.